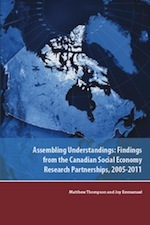 Between 2005 and 2011, the Canadian Social Economy Hub (CSEHub) acted as a facilitator promoting collaboration among six regional research centres across Canada (Québec, Atlantic, Southern Ontario, Prairies and Northern Ontario, BC and Alberta and the North), and creating opportunities and exchanges with international networks. CSEHub reached out to practitioners, to researchers and to civil society, through the regional research centres and their community partners. 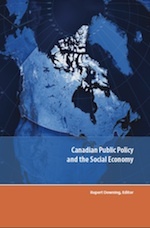 It undertook research as needed in order to understand and promote the Social Economy tradition within Canada and as a subject of academic enquiry within universities. 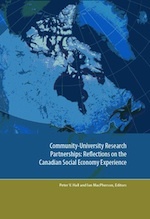 The collaborative effort of the six regional research centres, their community partners, and the CSEHub was called The Canadian Social Economy Research Partnerships (CSERP). CSERP was established in 2005 through a five-year Social Sciences and Humanities Research grant. Altogether, over 300 researchers, drawn from universities and Social Economy organisations, have participated in the work that has been undertaken (and in some instances is still being undertaken). All told, the researchers have created over 400 products. The Co-directors of the Hub, Rupert Downing and Ian MacPherson (Principal Investigator), the manager Annie McKitrick, and the staff of the Hub wish to express their deep appreciation to the Social Sciences and Humanities research Council, their colleagues within the Partnerships, the University of Victoria, the Canadian Community Economic Development Network, and the many students who worked with us during this project. This website is being maintained by the Canadian Community Economic Development Network as part of the legacy of the national social economy research program.